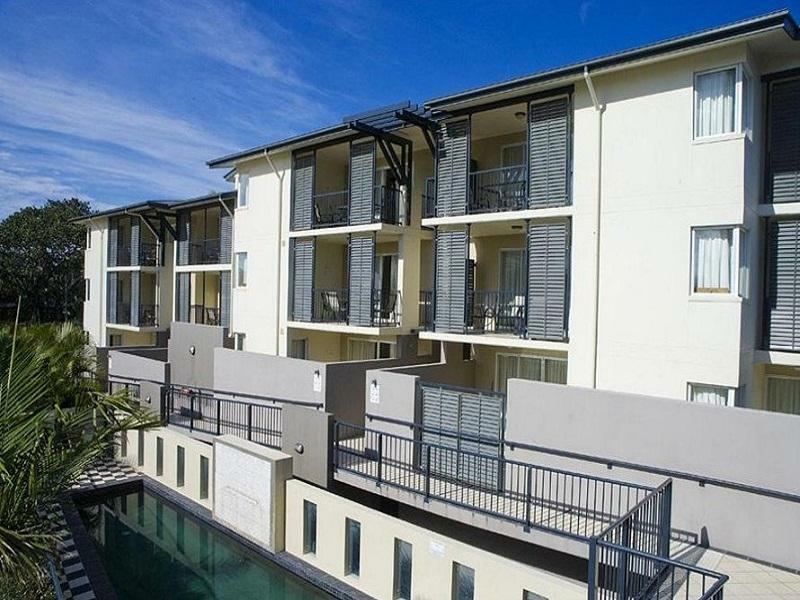 إن فندق Kangaroo Point Holiday Apartments بموقعه الممتاز في كانجرو بوينت هو نقطة انطلاق جيدة لنزهاتك في بريسبان. يمكن من هنا للضيوف الاستمتاع بسهولة الوصول إلى كل ما تقدمه هذه المدينة النابضة بالحياة. بالنسبة لمن يريد الخروج، هذه بعض المعالم السياحية المتوفرة للزوار الكاثيدرائية الأورثودكسية الروسية لسانت نيكولاس, Brisbane Cricket Ground - The Gabba, Brisbane Function Venue by Riverlife. استمتع بالخدمات الراقية والضيافة التي لا مثيل لها بهذا الفندق في بريسبان. لضمان راحة ضيوفه، يقدم الفندق الخدمات التالية: مرافق مخصصة لذوي الاحتياجات الخاصة, تخزين الأمتعة, صف السيارات, التوصيل من وإلى المطار, غرفة عائلية . لقد جهزت هذه الإقامة الفندقية بعناية فائقة لتوفر مستوى عالي من الراحة. في بعض الغرف يجد النزيل تلفزيون بشاشة مسطحة, غرف لغير المدخنين, مكيف هواء, تدفئة, مكتب. سواء كنت من محبي الرياضة أو كنت تتطلع لتفريغ عناء نهار صعب، ستجد خدمات ذات مستوى عالي بانتظارك كمثل حمام سباحة خارجي. 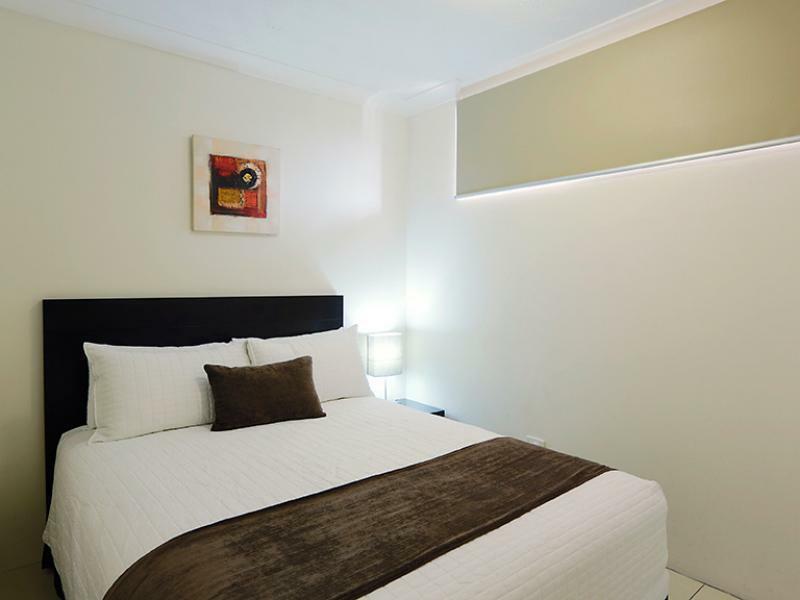 استمتع بخدمات لا يعلى عليها وعنوان ذو اعتبار في Kangaroo Point Holiday Apartments . we stayed 3 nights and only thing I can fault is we had no washing machine . Our apartment was decievenly large. It was clean, comfortable and convenient to what we required. Downside was our dryer made an extremely horrible noise so drying clothes at night time while kids in bed was not an option. The pool area was refreshing for the kids but very small and awkward. I would recommend these apartments to anyone. We were very impressed. We stayed in Room 15. The apartment is well equipped with sofa, kitchen utensil, etc. However there a few dislikes then made the stay a bad one. Firstly, I was bitten by beg bugs all over my body starting from the waist, to my back to my neck area. We stayed there for 4 nights. It was either the sofa or my single bed that was infected. Initially i thought it was maybe mosquitoes with like 2-3 bites at my waist. However on the 3rd and last night, there were over 15 bites around my body. When i check out, i informed the staff of this issues. I hope they rectify it before someone else stays there. Secondly, the apartment was very dimly lit, especially in the dining and living area. Thirdly, the shower room was really small and felt really claustrophobic taking a shower in there. Overall, I think cleanliness of the room need to be worked on. Reasonable location with access to shopping and bus interchange, very friendly and efficient staff. Noise is the only problem being on one of Brisbane's busiest intersections and construction sites in close proximity. Aircraft noise adds to the mix. If none of this bothers you then it's great value for money. Quite a large one bedroom apartment with a decent kitchen. Very clean and tidy. We only paid $82.50 a night and it was good value at this price, however the condition of the bathroom, whilst clean was in poor condition with major cracks in the vanity unit. Saying that, I would still stay here again for the same price. It is quite noisy (despite having a unit towards the rear of the property) due to being on a main road and major building works close by, but the noise from the air conditioner drowns it out a bit. Talking about the air conditioner - it was inadequate and did not cool the room down sufficiently despite having it on all night. The apartment we had was nothing like the pictures on their web site. It was so tiny, the balcony was tiny (if you could call it a balcony) We couldn’t all sit on the lounge as it was like sitting on the springs. The lounge really needs replacing. The tv had issues so they replaced it with a tiny tv. Some of the power points were just dangerous and cracked. The shower head wouldn’t stay up no matter how much my husband tried to fix it. There was no toilet roll holder and it was a really noisy apartment. Friendly and professional staff. Only area that needs improvement is frequency of room servicing. Bath towels & bed linen was only changed upon request, that was once for the entire 10days of our stay. They could have a trolley for clean linen & towels plus a dirty linen skip placed at a central point each morning so guests can help themselves if going round each apartment is too much trouble. The unit I stayed has two bedrooms. Quite small apartment. Hot stay. The whole apartment only has 1 unit of air cond only at the hall area. Owner only provide stand fan inside the bedroom which one of the fan unable to stand straight. Facilities especially toilet is too small. I just cannot imagine how big size people can fit in the shower room. Firstly the photos are misleading and this very unfair! The unit we were given is not the same as the photos. It was quite ordinary and the Kitchen cupboards, stove and range hood were covered in cooking grease. The fridge seal was dirty and needed to be replaced. The window tracks needed to be vacuumed and cleaned. The sinks (bathroom and kitchen) were blocked. The couch was torn, peeling, dirty and at one point I dropped my phone down a gap, when I went to retrieve it, I found about two years of food detritus and hell knows what else. It was basically kinda shyte really. Upside really was the staff and their upbeat manner. Great convenient place to stay, right next to the cricket ground, German club and a very short taxi ride to the valley and easy accessibility. I was impressed from the very start, as the reception staff were both helpful and courteous. The room was fantastic and had everything you would need for a comfortable stay. The bed was one of the best I have encountered - great nights sleep. 5 mins to the bus terminal and the Gabba Cricket ground and about 15AUD taxi to the city center means the location is great as well. Downside. There is actually a lot less road noise than I expected, but we had some noisy neighbors or a few nights. We were missing the remote for the video player, but overall these were not very big problems. I am definitely considering another stay here when next I hit Brisbane. Old, tired. Short on parking - make sure you get in early to get a park. Shower and bed excellent. Better hotels for this price but so convenient to the gabba!! Cracks in walls and around shower. No fan OR air cond in bedroom. 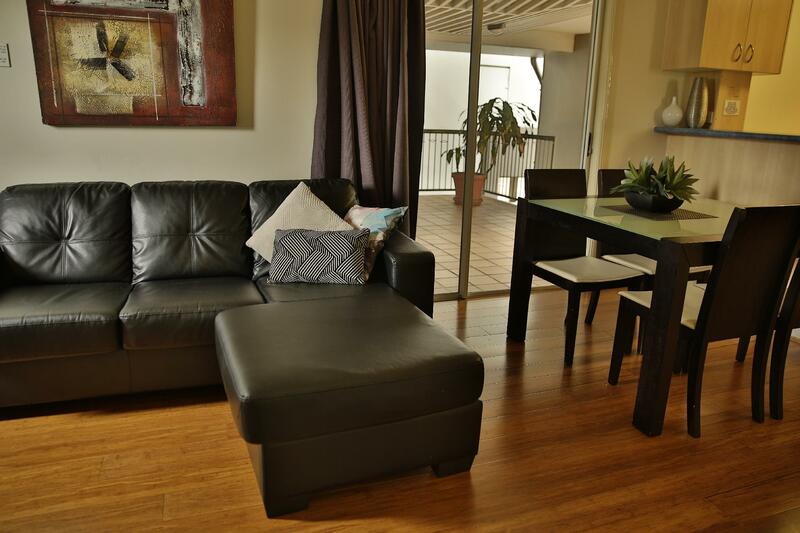 I would recommend the Kangaroo Point Holiday Apartments for short or long stays. It has good access to shops cafes and the freeway. 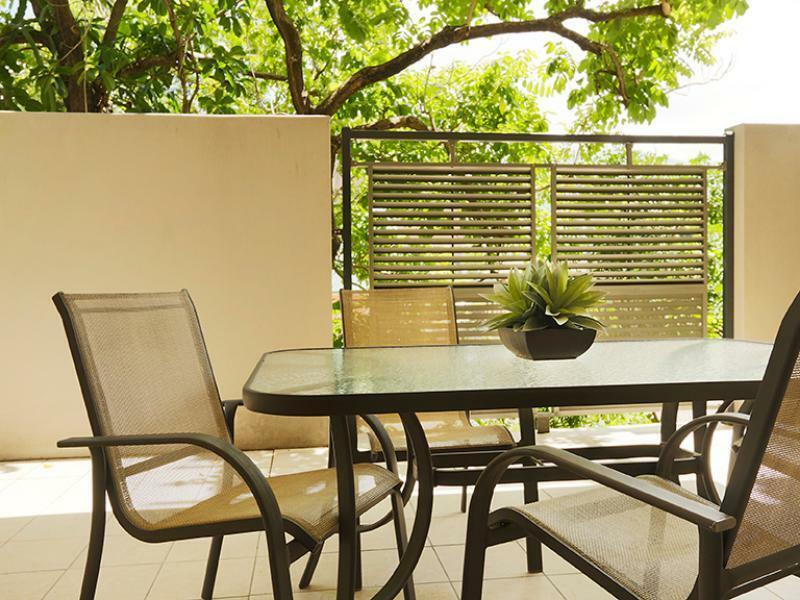 We could not get the wifi to work, and parking space was a problem on some days, Aside from some minor maintenance required inside the apartment, it you don't mind staying on a busy street, it is great value and a perfect place to stay. The location of the accommodation, the condition of the place and the value for money given the closeness to the city. The only issue that we had with the apartment was that the floors where dirty and the bathroom's ventilation was not working . My wife needed to mop the floor herself before we could let our children play on the floor. (It was that bad that their clothes were getting black from the grit of the floor boards. Other than that the place is fine to stay. Great value for money, great size & set up and great staff! We were very pleasantly surprised at the size of the apartment for the price. We left an electronic tablet in the room and the staff were very helpful in sending it back to us. We will definitely visit again!